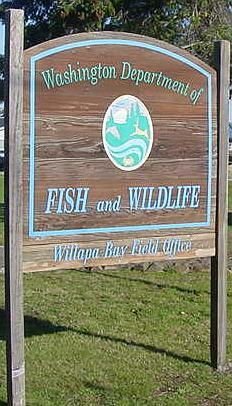 Willapa Bay shellfish growers work closely with the Washington Department of Fish and Wildlife. 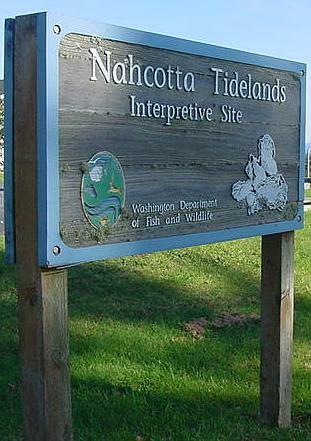 The Nahcotta Tidelands Interpretive Site teaches the value of caring for the environment and shellfish development. 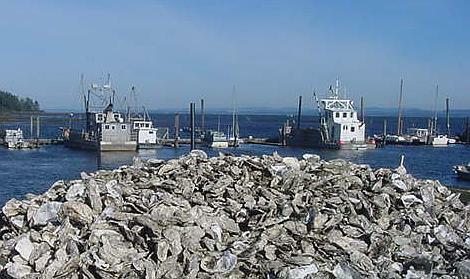 All our oysters and clams are grown and harvested in Willapa Bay and shipped directly from Oysterville, Washington. Filling transfer boxes for move to Finishing Plant. 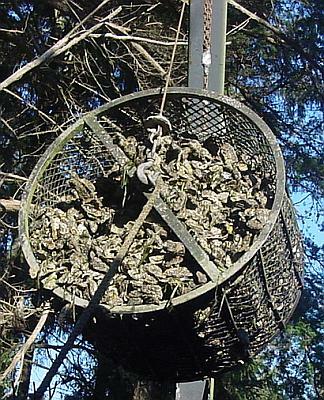 Tub full of fresh oysters. Emptying tub for size sorting. 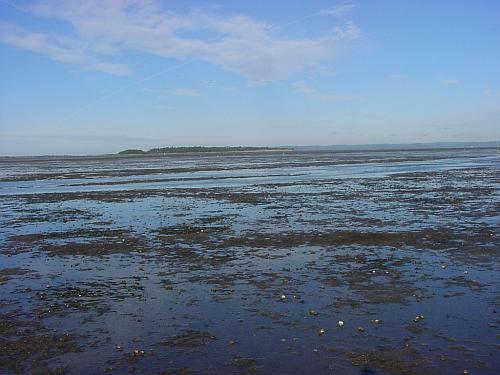 Willapa Bay clam bed at low tide. 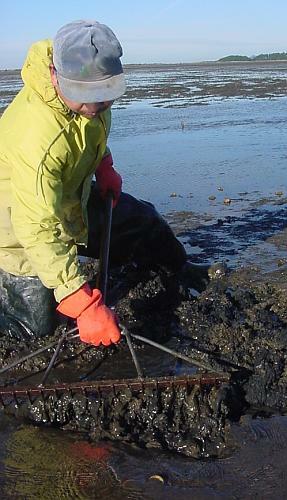 Digging clams at low tide. 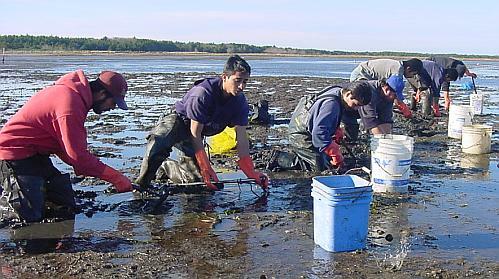 Hard work in the cold water. 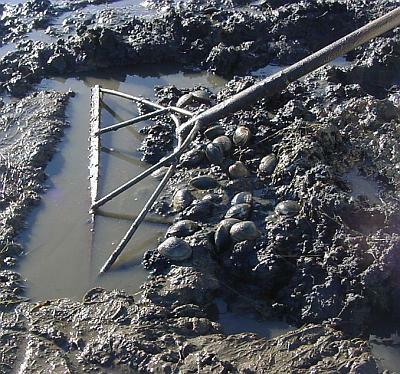 Look closely for the clams. There are lots. 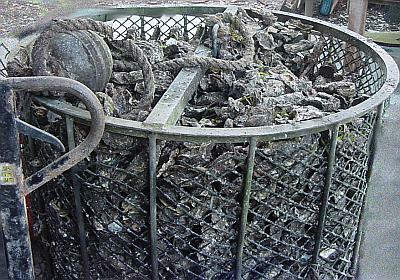 Our Oysters and Clams are 100% natural. 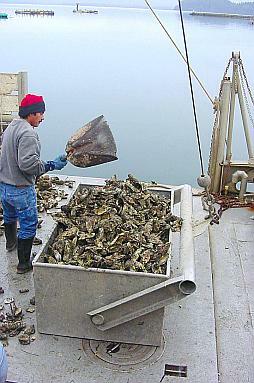 All food comes from cold Pacific water. 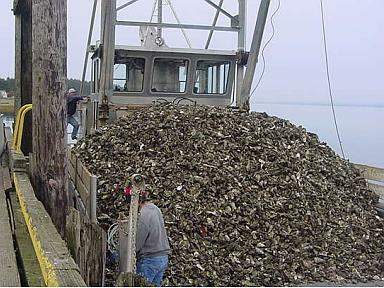 Choose our shellfish, grown only in Willapa Bay. 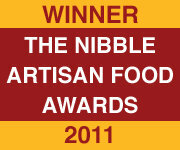 Absolutely pure shellfish, the freshest possible.